It is always inspiring to see how architecture emerges still, in a city as crowded as Tokyo. Simply because tackling with the issue of space, the new projects showcase incredible details. 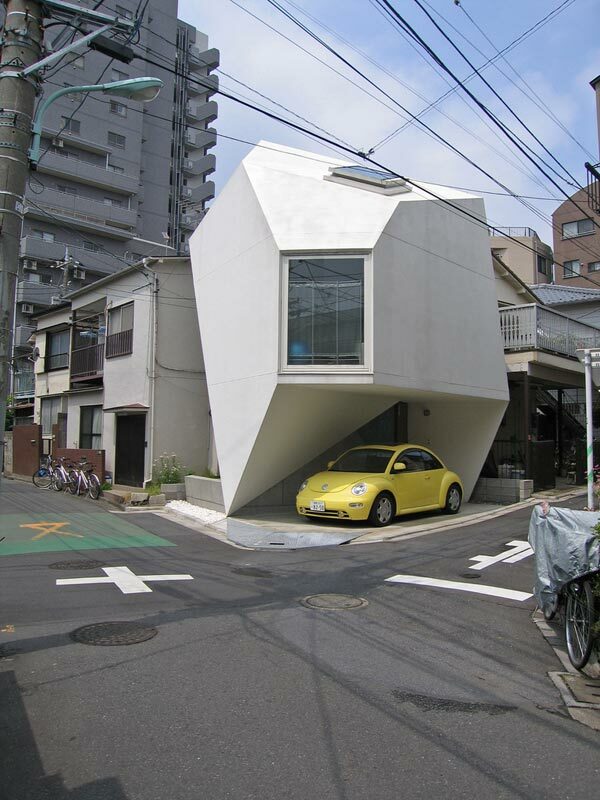 An intriguing example of contemporary Japanese design, the irregularly shaped BB House by Yo Yamagata Architects meets the challenging site requirements of a central Tokyo neighborhood. The architecture of the residence respects the need for privacy of the inhabitants: massive walls close the house on the side facing the street, while small window piercings open it up towards an inner garden. A diagonal movement in space characterizes the interiors, which seem to be chained in a spiral flow line from the basement to the third level. The overall interior design is defined by simple decors and color palette, typical to minimalist Japanese architecture. A roof terrace makes up for the lack of outdoor space and offers an interesting spot for contemplation and relaxation.